Meet the team at MIT IR. Institutional Research is part of the Office of the Provost. View an organizational chart of Senior Leadership. Institutional Research was established in 1986 and was originally part of the Planning Office. Our portfolio has grown and evolved over the years, but we remain dedicated to collecting and providing high quality data and analysis to the MIT leadership and the broader MIT community. See current opportunities in IR. Lydia received a Bachelor's degree in philosophy and an MBA from Boston University. She established the Institutional Research group at MIT in 1986; previous to that she was an administrative officer in the Department of Psychology and Applied Biological Sciences. Lydia has presented at many conferences during her 25 years in Institutional Research and has served as Chair of the Association of American Universities Data Exchange. Ayn received her Bachelor’s degree in Sociology from Wellesley College. Prior to joining the Institutional Research Group, she worked in the MIT Anthropology Program as Research Project Manager, where she focused on qualitative research. In addition, she has worked on projects at Harvard Business School, the Safra Center for Ethics, Harvard Law School, and Boston University. Outside of work Ayn has a slight obsession with all things culinary. Huey received a Bachelor's degree in Computer Science for Data Management from the University of Toronto. 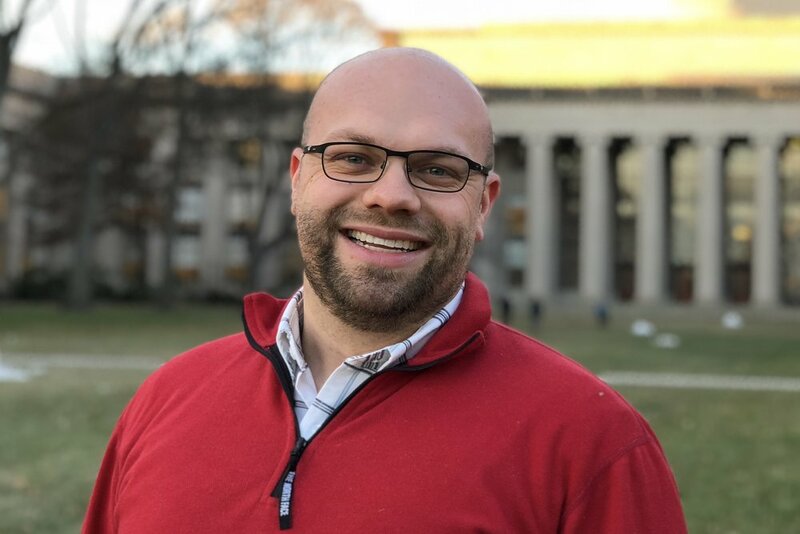 Prior to joining MIT Institutional Research, Huey has worked at the MIT Data Warehouse, the MIT Student Information System, and the Yale University Library System Office. Huey works for the AAUDE data warehouse and on a variety of other projects. Jon received a Bachelor's degree in Plan II Honors from the University of Texas at Austin and a Master's in higher education from the Harvard Graduate School of Education. Prior to working in the Institutional Research group, he worked in law school career planning, in the accounting office of a university IT department, and as an English teacher in Japanese elementary and middle schools. Kate received a Bachelor's degree from Bates College where she studied Psychology and Mathematics. Prior to joining MIT Institutional Research, she worked in the institutional research offices at Carleton College and Amherst College. Kate enjoys running and pottery, and she is a part-time MBA student at Boston University Questrom School of Business. Michael received a Bachelor's degree from New College of Florida where he studied Music Composition and Theory. Prior to joining MIT Institutional Research, he has worked in Admissions, Corporate Relations, and Sponsored Programs at various institutions. Michael enjoys ultimate frisbee in the Boston area as a player, coach, and league director. Greg joined the Institutional Research group in 2001 as a graduate student intern and became staff the following year. In 2010 he earned his doctorate in higher education from the Harvard Graduate School of Education. He holds a Bachelor's degree in economics from New College of Florida. Greg works on a variety of analytical projects, many involving survey data. Ben graduated from Clark University in 2015 with a B.A. in Geography and with a specialization in Geographic Information Systems (GIS) and Earth Systems Science. In addition to his current work as an analyst at MIT Institutional Research, he is also working towards his M.S. in Computer Science and Data Analytics at Boston University. Ben is an avid sports fan and enjoys downhill skiing, ice hockey, and tennis. Sonia earned a Bachelor's degree in computer information science at Ohio State University. She has worked as a research analyst in the School of Graduate and Continuing Education at Bridgewater State University and for the Scripps Gerontology Center at Miami University (Ohio). Sonia's work in the Institutional Research group focuses on faculty and graduate admissions data. Jon returned to the Institutional Research Group after a postdoctoral fellowship at the University of Notre Dame. In addition to IR, he has worked in the Offices of Admissions and Minority Education at MIT. Jon earned a bachelor's degree in rhetoric and political science from Wabash College, a master's degree in higher education from Harvard, and a master's and PhD in sociology with concentrations in statistics, research methods, social stratification, and education from Notre Dame. Abdou received a Bachelor's degree from Clark University where he studied Mathematics and Economics. Prior to joining MIT Institutional Research, he worked in Procurement and Supply Chain Management at Santander. Abdou works on MITx and AAUDE data warehouse projects and on a variety of analytical projects. Shirley has seen the IR team grow and change with over 20 years of experience with the group. She works directly with internal stakeholders including senior officers and departments administrators. Projects for external stakeholders such as Congress members and prospective students are also under her purview. 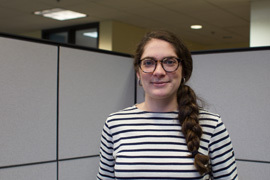 Taylor joined the Institutional Research Group in 2018. He is serving as a research intern while pursuing an Ed.M. in Higher Education at the Harvard Graduate School of Education. Prior to MIT, he worked as an Assistant Director of Admissions at Gettysburg College. He holds a Bachelor's degree from Lafayette College, where he studied neuroscience. In his free time, Taylor is an avid skier and traveler.